With these legendary words, it all started … Nowadays our whole lives are involved in some way with apps. Whether you are a Fortune 500 company or the local baker … an app is the most valuable way to keep in touch with your customers and grow your income. We currently offer three types of apps; iPhone & iPad Apps and Android apps. And all of this, of course, for an unbeatable price! Request your customized quotation now. Attract new visitors, increase sales, and improve customer retention. Marketing Apps and services help to promote your products. Engage with customers and offer better support with your business app. Social Apps can simplify customer sharing and grow your social presence. Engage with your customers and promote your store/website/app on Facebook, Twitter, and many more. 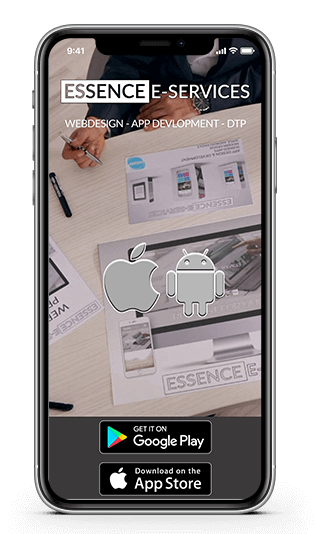 Essence E-Services can take care of all your app-building requirements and offers the fastest and most affordable service on the web. If you need an app to help you take your business to the next level, then let us help build you something that will look highly professional without breaking the bank. We largely create simple informative apps for your company, but we can also offer you much more possibilities than the standard service. These simple, static apps are cost effective and give you a way to get a presence in the App Store and to provide your customers with more information without the need to put a huge amount of time and money into development. In this way you can get your app in the app stores in no time and provide your customers with all the information they need about your company. Why Choose Essence E-Services For Your App Development? We are a team of very experienced app developers who have been involved in building mobile applications for years. At that time, we have helped many organizations to develop great looking, feature rich apps that promote their business and bring new eyes to their products and services. If you do not currently have an app for your company or product, you will miss the opportunity to stay one step ahead of your competitors, to reach thousands of new customers and to improve your service and marketing. It is high time that you get involved, so let Essence E-Services be the ones that help you with this. So why choose us to take care of your app development? To begin with, we have a high priority for communication and customer service. We ensure that you stay in the driver’s seat at all times and keep you informed during every phase of your mobile app production. We understand that this is important for your business strategy, that is why we want to ensure that you are involved in the entire process. 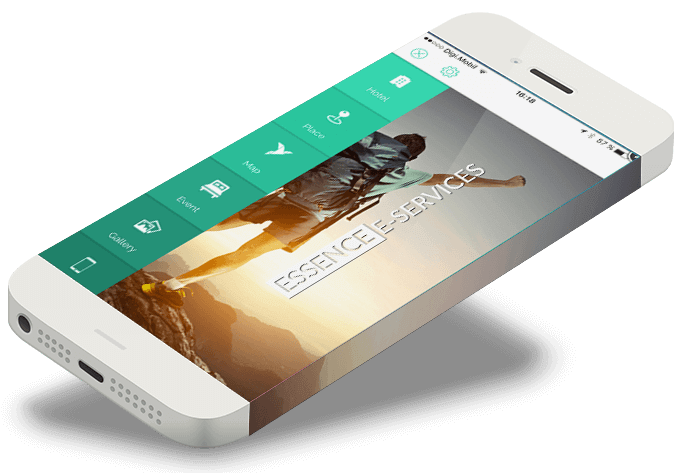 Essence E-Services is also the right choice for you if you want the most professional and powerful app that is possible in the app store. We have built countless apps over the years and we work with the most advanced tools to ensure that your production is not only fast, but that the end product is also reliable and beautiful. And much more, to make sure that your customers are really “overwhelmed” by what they see, we offer you new, powerful ways to communicate with your audience. In addition, we have worked long enough in the industry to understand the standards and expectations that apply to local business apps. This way you can assume that your final product can be seen and makes a fantastic first impression. All of this can be realized using your existing logos, backgrounds and other materials to maintain your brand consistency. Imagine being able to send a push message directly to your users’ phones to talk about a new offer you currently have. Imagine that they can sign up at your service your service, reserve a table or buy a product directly through your app. Imagine being able to attract new customers with a professional video and an intuitive interface. 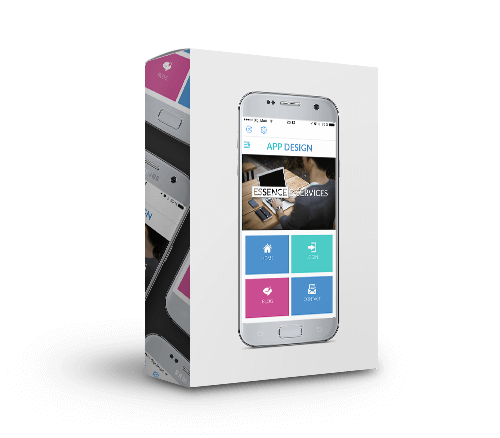 All that is possible with our app building service and we promise you to deliver your app quickly and also very affordable. 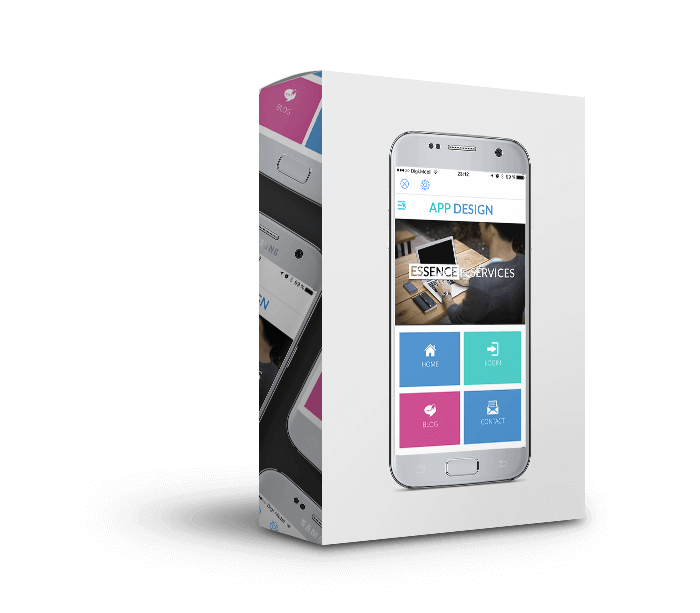 You will not find a more extensive or more powerful app building service for less money anywhere else. 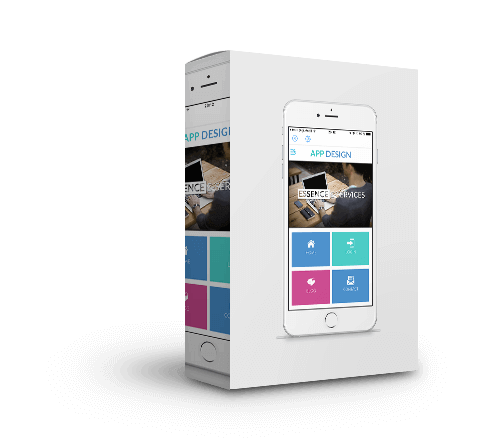 Our only goal is to ensure that you are satisfied with the final product and would like to help you place the best possible app in the app stores as quickly and cheaply as possible. 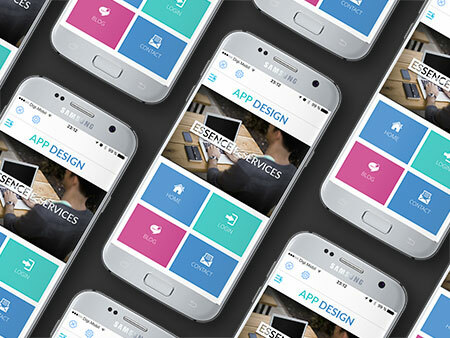 Do you want to start expanding your business in the mobile world with a beautiful and powerful smartphone app? The next question is where you are going from here. At Essence E-Services we have a very simple and standardized process that we take our customers through, that makes creating your own app easy and stress-free. This process is intended to ensure that our customers feel at every step in control and facilitate seamless communication so that the product you end up with reflects exactly your needs and your vision.